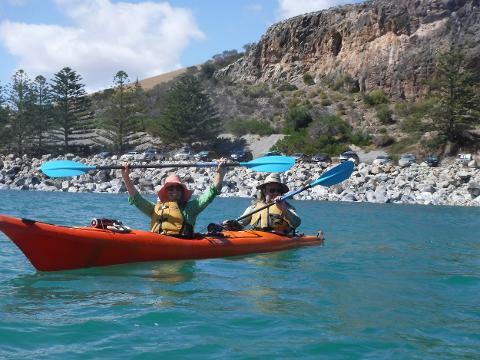 The tour begins on the beach at Rapid Bay on the lower Fleurieu Peninsula about 90 Km south of Adelaide. This is our "high end adventure tour". 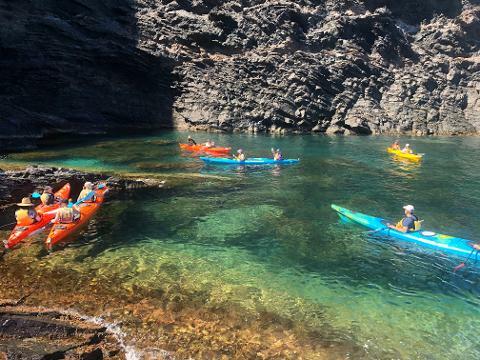 Here the rugged coastline is spectacular with towering cliffs and crystal clear water, a great place for a sea kayaking adventure. 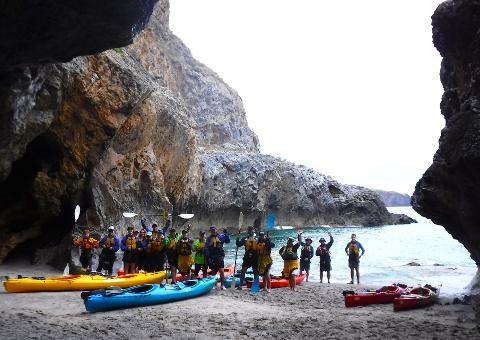 We meet you on the beach and after instruction on safety, paddling and fitting of the gear we are off to visit isolated beaches and mysterious sea caves. 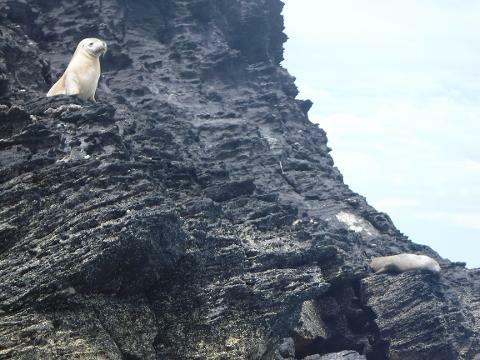 You can also meet the "locals"; a growing colony of seals that are always keen to make new friends! 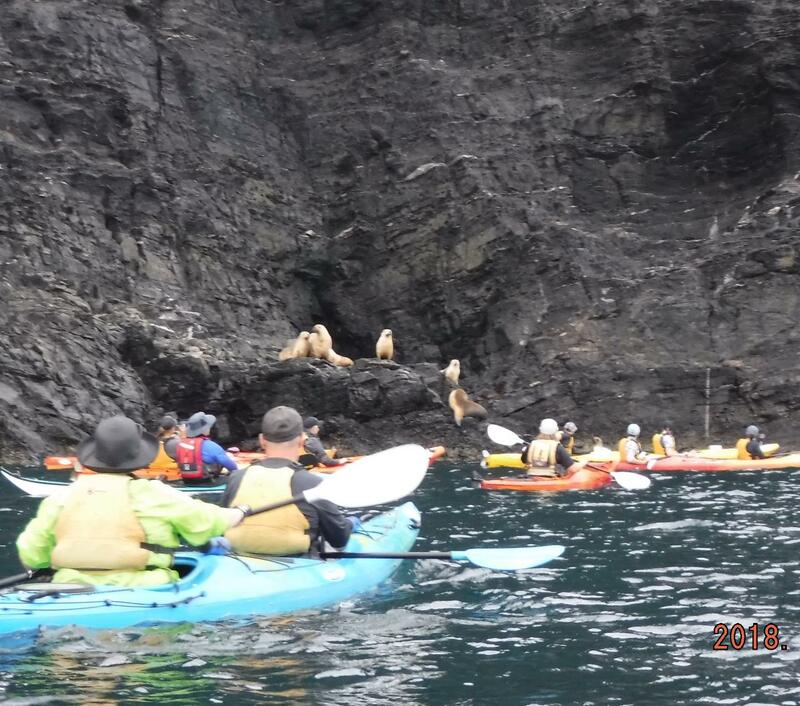 environment and it's inhabitants.The tour fee includes all kayaking equipment, guidance, lunch and non-alcoholic drinks. We pride ourselves on offering fresh, local foods and can cater for special dietary requirements on request. 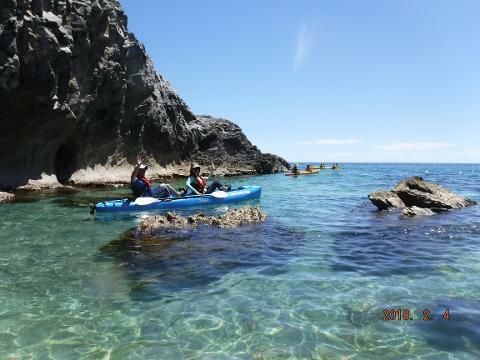 We will provide quality 1 or 2 person sea kayaks which are very stable and easy to use, comfortable buoyancy vests and friendly guidance that will make the experience both safe and great fun. 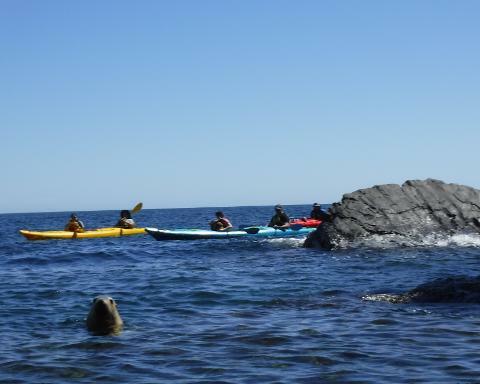 On this tour we prefer all participants to be in 2-person sea kayaks unless you have had plenty of experience paddling on the sea in a 1-person sea kayak. This is a great experience to share with your partner or best friend! Lunch is a healthy build your own "sub" or "wrap" (sandwich) on a beautiful, isolated sandy beach, only accessible by small boat. This includes a selection of meats, ham, chicken, cheese and fresh salads. Special dietary requirements can be catered for. 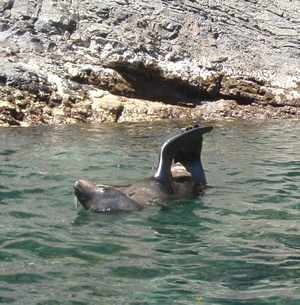 This tour is suitable for those who love the sea, are active and have an adventurous spirit. 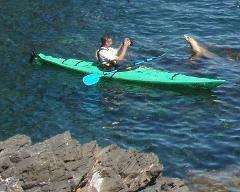 Previous kayaking experience is recommended but not essential. 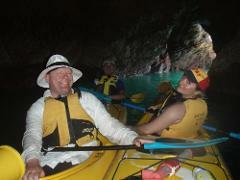 This tour is generally suitable for adults 16 years and over. 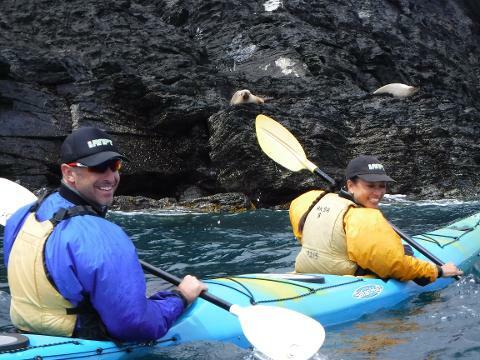 If you are booking as a single paddler and have not had significant sea kayaking experience you may be able to share a 2-person kayak with one of our guiding team for a small extra fee($40). Please inquire about this option by email or phone. This tour is highly weather dependent...we will only go out if weather is virtually calm. A 30% deposit is payable upon booking with the balance being paid when the tour is confirmed given a suitable weather forecast roughly 4 days prior to the date of the tour. In the case of bad weather cancellation your deposit is refunded if we cannot transfer your booking to another suitable date. Dates for 2020 to be entered soon. 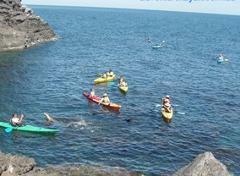 Please Contact Us by email or phone 0429019141 for further details about this sensational sea kayaking adventure. Bookings essential. Book online or over the phone.